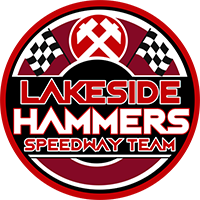 Lakeside picked up two wins from their double header against Peterborough at Rye House – but it was a mixed night for the Hammers. They take a ten point lead into the second leg of their Championship Shield semi-final clash at the East of England Arena on Sunday courtesy of a 50-40 triumph in the first meeting. 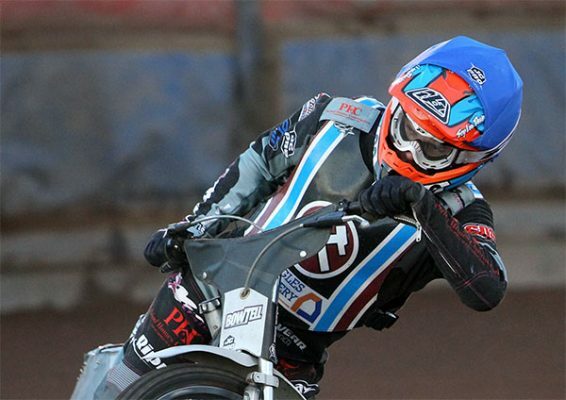 But despite a 40-38 win in a fixture cut short after 13 races due to the track curfew, the Hammers crashed out of the Knockout Cup as they were unable to overturn a 14-point deficit in the second meeting. Team Manager Will Pottinger said: “It was a fairly pleasing night overall to be honest. “Firstly it was good to build up a handy lead to take to Peterborough in the Championship Shield and I thought we rode well as a group. “The deficit we needed to make up in the Knockout Cup was always going to be tough but we gave it our best and we showed glimpses of potentially pulling it back along the way. “But we have to move on from that now and focus on the Shield on Sunday and then the play-offs next weekend. “Everybody contributed over the two meetings but for me Alfie Bowtell rode brilliantly down at reserve. A full preview to Sunday’s Championship Shield semi-final second leg at Peterborough will be issued on the morning of the meeting. Nick Morris 14, Richard Lawson 11+1, Alfie Bowtell 10+2, Adam Ellis 6+1, Kyle Newman 5+1, Ben Morley 3+2, Broc Nicol 1. James Sarjeant 11+2, Michael Palm Toft 8, Ulrich Ostergaard 7, Emil Grondal 6+3, Tero Aarnio 6, Simon Lambert 2, Bradley Wilson-Dean R/R. Adam Ellis 11+1, Richard Lawson 8, Nick Morris 8, Alfie Bowtell 7+1, Ben Morley 5+1, Broc Nicol 1, Kyle Newman 0. Michael Palm Toft 9+1, James Sarjeant 8, Emil Grondal 7, Tero Aarnio 6+1, Ulrich Ostergaard 5+1, Simon Lambert 3+2, Bradley Wilson-Dean R/R.